As a Florida native I can’t begin to count all of the outstanding fishing adventures I’ve experienced on the Indian River Lagoon Coast of Florida in November. We’re truly blessed by the opportunity to experience the natural side of such a magnificent resource, and blessed am I to have a loving and considerate wife who understands and tolerates my passion for the outdoors and stretching line. For a host of reason, November prevails as one of the most productive months to fish Florida’s east coast. It’s the season of the mullet, with waves of baitfish (black and silver mullet) migrating south through the lagoon and along the beaches. Currently the inlets are jam-packed with bait increasing the diversity of species one can expect to catch. Along with this seasonal migration come the cooler temperatures and an influx of predators on a quest for warmer waters and an opportune meal. As the water temperatures cool, look for the near-shore bite out of Port Canaveral and Sebastian Inlet to heat up. When the seas allow it, look for cobia and tripletail along the Port Canaveral buoy line, and on weed lines both inshore and offshore. Also, the cooler waters will trigger the snook and tarpon bite both along the beaches and in the inlets. 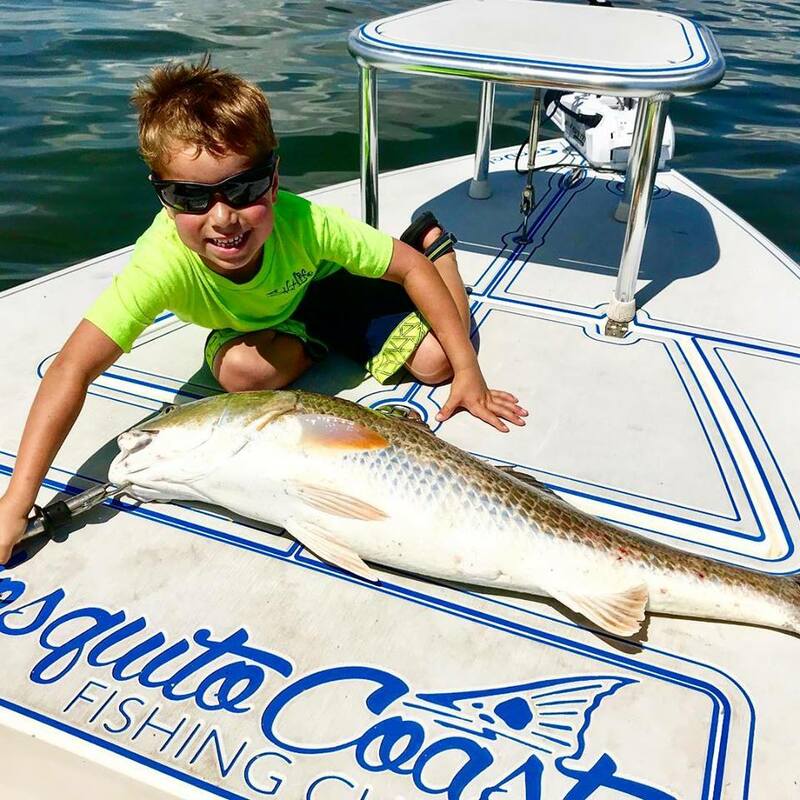 On the lagoon flats, redfish and sea trout will begin their transition from finfish to shrimp and crabs as the mullet run wanes near the end of the month. Also, as the water levels begin dropping and the water cleans up, tailing redfish will become more common and sight fishing improves. When you’re in this situation, nothing beats a well presented DOA Shrimp or 3″ DOA CAL paddle tail as these tailing fish are targeting smaller baits. November is one of the best months to target snook at Sebastian Inlet. In addition, ocean flounder and oversized redfish have already begun to show up on the Port Canaveral buoy line and in the inlets, and their numbers will only improve as the month progresses. Other notable predators shadowing finger mullet and glass minnow pods are Spanish mackerel, bluefish, and blacktip sharks. On the inside, schools of pompano will soon begin to move off the lagoon flats through the inlets and invade the beaches in search of sand fleas (mole crabs), their favorite winter food. Also, look for large schools of ladyfish, small trout, jack crevalle, and Spanish mackerel busting pods of glass minnows in deeper water, and finger mullet near the shoreline and causeways. These schools are easy to locate by watching for bird activity, fish busting, and bait showering on the surface. 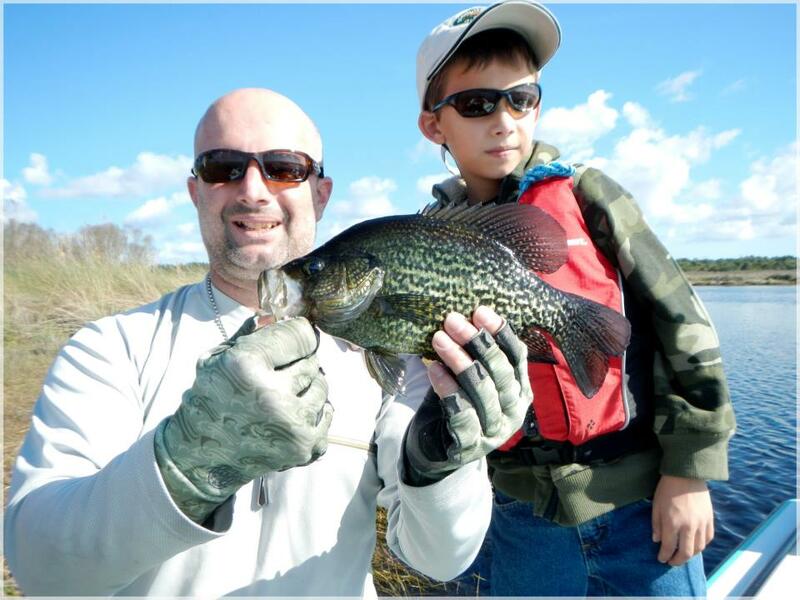 November also serves as the beginning of crappie season on the St Johns River and all major freshwater lakes in Central Florida. As the cold fronts pass; I will endeavor to keep my lines tight, and promise not to take nature’s blessing for granted. See you soon on the Lagoon.